John provided a great tour. He has a wonderful spirit and knows a lot of interesting things about Skye. I never would have been able to get as much out of a day if I were trying to see all we saw on my own. He is extremely professional and was able to understand the things that were the most important so that we were able to work them in. Don't hesitate to work with him! John was an amazing guide. He's incredibly knowledgeable and incorporated what I wanted to see on the tour. I saw and did a lot in one afternoon but never felt rushed. I would definitely recommend a tour from John. John was very nice and informative. He was understanding of time constraints and still able to get us to all the places we wanted to see. Scotland is absolutely beautiful and John did a great job of taking us to the most picturesque and historical sites. My husband and I were very pleased with our tour. This tour certainly met our expectations. John was flexible as we changed our itinerary several times while we travelled! He is very knowledgeable and communicates clearly. Interesting facts and tidbits of information were shared throughout the tour. We highly recommend his services. Fantastic day with sites, fun and information. John knows how to make the best of limited time. You will be pleased! We were a group of 6 from Canada. We highly recommend John. Very knowledgable and gave a fantastic day tour! Very knowledgeable tour guide and extremely polite! I definitely recommend John! A sold-out ship's shore excursion led us to John McCormack and what a stroke of luck that was! We had a wonderful day touring the Highlands with John. He was accommodating and adaptable--our ship docked at a different pier and we had to change the meeting location at the last minute. He was also knowledgeable and entertaining--we enjoyed conversing with him. Also, we covered a lot of ground during our 6-hour tour. Highly recommend John! John was a great tour guide and driver. We got to see everything we scheduled and then some. He was friendly and knowledgeable and had a great sense of humor! We thoroughly enjoyed the tour. We highly recommend John and Tours by Locals. Johnny, has the perfect personality to be a Tours... guide. He is engaging, a local historian, ability to change destinations because of weather or personal needs Trip to Donborn Castle highlight of the trip.His suggestion that we walk the steps to the falconry demonstration was absolutely on spot.Lunch at the Castle a Scottish experience. Watching seals lounging and waiting for the rising tide to bring the fish to them was a photographer's delight. A tasting at Glen Morangie was the icing on the day. John made this tour easy and pleasant. The suggested stops of Fort George, two different castles, and the clava Cairns we're good choices. John was a super guide. He met us at the dock and took us first to Cawdor Castle, then Culloden Battlefield, and then Clava Cairn. He knew all the history behind these places and we really enjoyed this tour. Finally we were able to go to Glen Ord for a whiskey tasting. He made sure we saw everything on our list.!! Guide was fantastic. Met us on time. Was full of interesting information. Responsive to all our questions. Attentive to all our needs. John provided our group with the perfect day! His vehicle was clean and comfortable. He picked us up at the port right on time and suggested our route to view the beautiful sights and countryside of the Inverness area. He was knowledgeable about the area and answered our many questions.........a true professional. Our day visiting the Scottish Highlands was perfect thanks to John. John gave our group a great tour south of Ullapool. His van was roomy and comfortable and we appreciated the PA system enabling everyone to hear John's commentary as we drove. He is personable, professional and easygoing, easily accommodating the wishes of everyone in the group. Highly recommended! Fantastic! 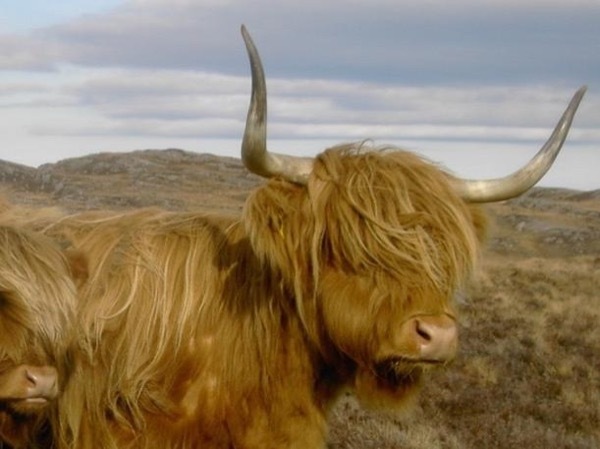 Do not cheat yourself by visiting the Highlands or Skye and not touring with Jonny. He is a true professional - knowledgeable, kind, personable, strong communicator and more! His vehicle is immaculate, comfortable and well suited for sightseeing. He was waiting for us at our start time, completely flexible and tailored the tour to suit our likes and preferences. For decades we have toured with guides around the world and Jonny is among the best, if not the best! John was great. Polite, spotless....willing to accommodate our needs and wishes. Easy to understand English. Prompt. We went to the Dunrobin Castle. Rainy day. Falconry demo was exceptional due, in part, to the witty humor of the falconer.Did the Loch Ness and Urghart castle tour an the way up from Inverness, and lots of cool scenery on the way back. Our day with John was well spent. He shared his knowledge easily and articulately, well spoken. The day was paced well and most enjoyable. John made the most of our time and was a wonderful guide! He was charming and well informed. Highly recommend! We had a fantastic day with John! What a great tour guide. He was very knowledgeable and we learned so much. He was very flexible and helped us see some places we wanted to find. Great comfortable vehicle too, and a great driver. Be sure to book John! We had an amazing time with John on our tour of Inverness and the surrounding countryside. John is extremely personable and made us all feel at ease right away. He learns about your group through conversation and then caters the tour to your group. For example, we spoke of how several of our party were golfers, so he took us to a course that is used for the Open. John also knows a lot about the area and tells stories that are interesting and fun. I highly recommend him. We loved our tour. John was an exceptional guide. We were on a tight schedule, coming to and leaving Inverness by train from Edinburgh. He was able to accommodate our ambitious wish list of Plotkin, Eilean Donan Castle and Skye's Old Man of Storr with lunch and get back to the last 6:30 train. He showed us Inverness with a nice drive along Loch Ness as well. Brilliant. This was the best private guided tour I have had. Loaded with information. Clearly understandable. Very flexible. Punctual. TOUR GUIDE RESPONSE: So glad that you enjoyed your tour hope you will come back and perhaps discover more of the highlands again sometime Thanks for the kind review Regards John M.
John did a great job. He is very knowledgeable and friendly. His car is the largest of all from the tours in the UK. This is the only way to tour the Inverness area. John was prompt, courteous with a knowledge of history. In our instance, we wanted a custom tour and he delivered spectacularly. We toured the areas of most interest to us and spent the amount of time at each site that we wished to spend, we did not have to maintain a schedule. His ehicle was exceedingly comfortable. Would do this again. John was a charming and knowledgeable guide, and was flexible with our schedule as we got off to a late start and made adjustments to our customised itinerary throughout the day. He was quick with suggestions on things to do and places to go and we really enjoyed his choice for our lunch in Inverness. Excellent tour. Jonny was a fine gentleman and very fine guide. AppleCross route is great. Weather not so much, still great tour Great lunch at AppleCross Wall Garden. Clouds hanging low today. John was amazing. Today was a long day... driving to Island of Skye and Loch Ness. He did a lot of driving and even though we were running late he still stopped at Eilean Donna Castle for photo op. Great tour guide. Highly recommend. John was amazing. He customized our tour to fit our wants perfectly and even added extra stops. His knowledge and commentary was great. He even took us to pick up our laundry on way back to hotel. Couldn't have asked for a better guide. This was a great tour. John took us to the highlights of the area and was very kind and personable. We enjoyed our time in Dornoch. John was absolutely terrific. We spent two full days with him and enjoyed it immensely.He was extremely knowledgable about the area but also a pleasure to just chat with. He gave us wonderful insights not just into the history of the area but also of the physical region (land formations, etc). We went into the day with some ideas about what we wanted to see, but he was extremely helpful in fleshing out those ideas and in helping us add in a few extra sites that we hadn't even known about. John was prompt, courteous and knowledgeable. His tour was delivered as promised. We had to cut one thing out of the tour due to time constraints but this was unavoidable due to tendering delays on the ship. I will be in the area again in 2019 and will book with him to see the places we needed to eliminate this time. What a great tour! John was wonderful and so insightful. Really made the tour a pleasure. John's love of the magnificent western Highlands was evident for the entirety of our excellent day with him. Indeed, the four of us left the tour at the end of the day bewitched by the experience. John is a remarkably intuitive guide who tailors both the tour and his commentary to his clients. John was an ideal guide for our custom tour on the Highlands out of Invergordon. He worked with us both in advance and while on the tour to give us the most effective use of our day. His low-key but knowledgeable mode of communication was ideal for the four of us. One could not go wrong with a day (or more) of touring with John. John picked us up at the Cruiseship Terminal. From the first moment we felt like beeing friends for a long time. He fullfilled every wish we had and he showed us his secret places, which we are sure are not easy to find. He brought us to Loch Ness for a short stop for lunch (which was very good). On our 12 days British Isles Cruise, this was the very best tour we have made. Thank you John for the beautiful memories! John was absolutely marvellous. We missed our train and he accommodated us. When we arrived we thought we were going to do one thing and he had us for another tour, but he switched it for us without any complaint. He was very knowledgeable on the history. The vehicle was perfect to what we wanted. He was very courteous. I would hire him again in a heart beat. Thank you very much John for making our trip to the Isle of Skye perfect. We had a wonderful day with John. He provided lively and interesting commentary about many of the sights we saw and the history of the region. The route was scenic and historic. I learned a lot without feeling like I was enduring a history lesson. We enjoyed each of the sites--sites that most of our fellow cruise passengers did not get to see--very much. Even the small farm with long-haired cows was charming. A highlight was actually seeing the Dowager Countess of Cawdor at the Cawdor Castle. John was friendly, knowledgeable, and went out of his way to make sure our group of five had a great day. He stayed with us beyond our appointed time to take us to one extra attraction that interested us. He gave us numerous tips for our remaining days in Scotland. All of highly recommend John. We had a custom tour, designed to track down the locations of my ancestors' homesteads. John was knowledgeable, a great driver, very considerate of our desire to poke along the back roads and take many pictures. He was flexible about our timing, and gracious when we went longer than anticipated. John picked us up from our cruise terminal and off we went to a full day of sites. From Loch Ness to Beauty Priory (church from 1200's!) to two castles--Urquhart Castle and Cawdor Castle. John also took us to Clava Cairns (Neolithic tombs)...This was a surprise, very interesting and also learned that this is a film location for Outlander! On our way back to the ship he stopped and showed us fields of Clysdale horses. John is an excellent guide, very accommodating and wants you to have a great tour! This was the 2nd day that we spent with John McCormack, this time on our Invergorden stop. Since it was our second day it was like meeting up with an old friend. John gave us the history grand tour of the area along with a special stop at the Black Isle Brewery. Their organic beer was exceptional and we were thrilled to stop there. John also introduced us to Culloden and the visitor center and museum. A wonderful day with a great guide! We enjoyed our day with John, he was very accommodating and informative! We spent two wonderful days with John while on our cruise around Scotland. The first of these two days was a stop in Portree on the Isle of Skye. We spent the day sightseeing one of the most beautiful coastlines we have ever seen. John made sure that we were comfortable and really gave us some great history lessons of the area. We felt like we were "off the beaten path" and loved they day. All I can say is WOW! John was a fantastic guide with so much knowledge of the area. He quickly got us to attractions before the big buses from the cruise ships showed up. We couldn't have asked for a better day. Thanks again John!! My family and I had John today as our guide from Inverness through a whiskey tour and much more. He was so knowledgeable and friendly we thoroughly enjoyed our time with him. He went above and beyond what we expected. I give him a top notch rating! John is a terrific guide and so committed to client satisfaction. It was a joyful day. John was very accommodating with our schedule and helping us to get the most bang for our buck given the time constraints. We were able to see all the sights we wanted and even had a few photo stops, as well. I would highly recommend him for future tours. We had a good time on our tour. John was great on filling us in on some of the background of the stops we made. We were able to get in a couple additional stops on our tour. Lunch was terrific. We spent a full day with John visiting sights outside of Inverness and it was a wonderful experience. John was extremely nice and very informative on both Highland culture and all things Scotland. Besides the main sites on our itinerary John included many other unexpected stops along the way to make for a truly unforgettable day. I would highly recommend John and will certainly include him in the future if fortunate enough to return to the highlands. John was a wonderful tour guide - helpful, knowledgeable, flexible, focused on our satisfaction, safe driver, and we really enjoyed his humor! We got to see almost everything on Isle of Sky and he made the best of a rainy and windy day. I highly recommend Tours by Locals and especially John! TOUR GUIDE RESPONSE: Thank you for your kind words It was a pleasure to show you the Isle of Skye. You were great company I thoroughly enjoyed the day and the Craic Hope you enjoy the rest of your holiday ..do come back again and have a safe journey home . Great tour and guide. Friendly and informative. Johnny is an experienced professional. He is very knowledgeable and accommodating. We would recommend him to everyone. Very pleasant tour. John seemed informed about the places we visited. We feel that our day was well spent and we learned a lot about this part of Scotland. John was excellent -- so friendly and informative and accommodating. We had such a wonderful day, thanks to him! John was most accommodating and knowledgeable of the sites to be seen around Inverness. We spent a most enjoyable day sightseeing and engaged in conversation. We visited Clava Cairns, Culloden battlefield, Cawdor Castle, Urquhart Castle and other sites during the day. We would definitely love to book another day of sightseeing with John when we return to Inverness. John was a wonderful guide and knew all the history of Skye. We really enjoyed our day. John was an excellent guide and driver. His van was clean and comfortable. He arranged our tour to include interesting places that we hadn't planned on and we were happy that he did that. John was an excellent guide and the frequent stops to see the many sites along the way made for a pleasant and enjoyable day. Thank you John, for an amazing day! We weren't sure what we wanted to do for the day, but John put together a terrific itinerary! As he got to know us in the first couple of hours, he modified the itinerary to match our interests; very flexible. He is very knowledgeable and interesting. He was attentive, but not intrusive....a perfect balance. Plus, his vehicle is spacious and immaculately clean. I highly recommend him. John was a terrific tour guide. He was very professional, flexible and friendly. We asked to see a few places that were not on the schedule and John was so accommodating. He is knowledgeable and it's very evident how much he loves the area. The scenery was breathtakingly beautiful and we will remember the time we spent with John for many years to come. John was an absolutely fantastic guide!! He was extremely knowledgeable, having an abundance of historical information on all the sites we visited! !We had never visited Scotland before, he took us to so many great places. He also made sure to keep us on time for our ships departure, without sacrificing the tour stops. We would definitely book him again should we return to the area. John was a great tour guide! He was quick to connect with us for pre-trip planning, was right on time, and gave us excellent ideas for how to use our day. Very knowledgeable and friendly - a great guide of the Invergordon area. Our guide, John, was prompt and had a vehicle that very nicely accommodated our group of six. He took the time at the beginning of the tour to let us express our wishes for the day and made good choices to be sure we got to see lots of things and still get back to the ship on time. John was very personable, knowledgeable, and had a good sense of humor! Our bespoke tour was just "ok." John is not very dynamic as a tour guide. He did provide some information about the local history during our travel but this was much less than we experienced with other, similar tours. One glaring deficiency was lack of preparation: we were planning on stopping at the Glenmorangie distillery as our first stop at 9 AM. It turns out the distillery did not open until 10 AM. I think it is not asking too much four our tour guide to have found this out in advance. Due to a series of unfortunate circumstances our tour with John was cut short. He handled the situation like a true pro. The time we had with him was fantastic. Love his microphone in the van so that even the passengers in the back can hear. John is a very knowledgeable guide. Would definitely book with him again. I also love the tours by locals organization. John was extremely professional and knowledgeable. The tour was a good mix of sites and covered a lot of territory. His vehicle was very pleasant, especially since there is a lot of driving. We enjoyed our tour and would have no trouble recommending him to others. John was a great guide. He was Curtiss and thoughtful. Made good suggestions and shared great stories and information about the area. We enjoyed our time with John. John is an excellent tour guide. He knows how to give his customers an A+ tour. 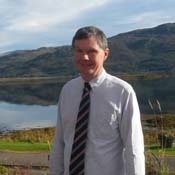 He is very knowledgeable about the visiting sites and Inverness' history. He took us to places a big tour bus could not go to. He has a warm personality and welcomes suggestions and questions. John makes the tour fun, educational and informative. He even stops and lets the customer take cool pics. Thanks John. My daughters and I thank you! I highly recommend John and will definitely do private tours in the future. John was an excellent guide for our group of 6 from a cruise ship. He worked with me to customize our visit, and he was waiting on shore when our tender arrived to get us off to a quick start in his clean, comfortable van--keeping us ahead of the big bus tours. All of us could easily hear all his interesting commentary--thanks to his van's microphone. We toured lovely Eilean Donan Castle and the famous Talisker Distillery. He was knowledgeable and gracious, with a great sense of humor. Thanks, John! John did a great job of giving us the tour of our making. Despite weather conditions that were nominal we got the most out of the day and the vehicle was quite comfortable and as a photographer he made several stops throughout the trip at great vantage points.